FOR T - TF – TL – TFL - T2 MODELS: • Support base parallel to the force line of action. • In the closed position, the control lever is parallel to the support base. FOR T3 MODELS: • Support base perpendicular to the force line of action. • In the closed position, the control lever is parallel to the support base. FOR T4 MODELS: • Support base perpendicular to the force line of action. 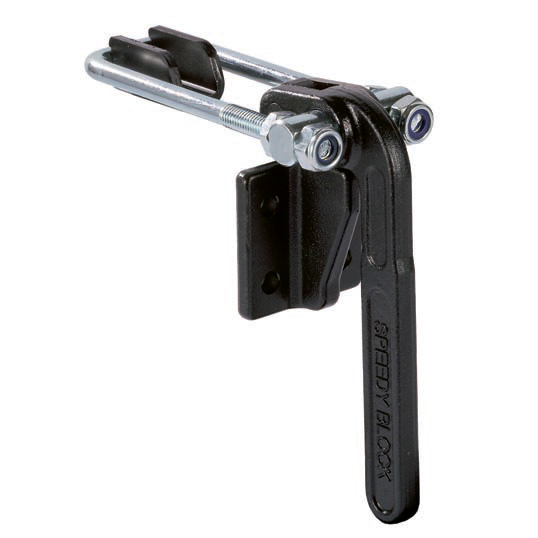 • In the closed position, the control lever is perpendicular to the support base. 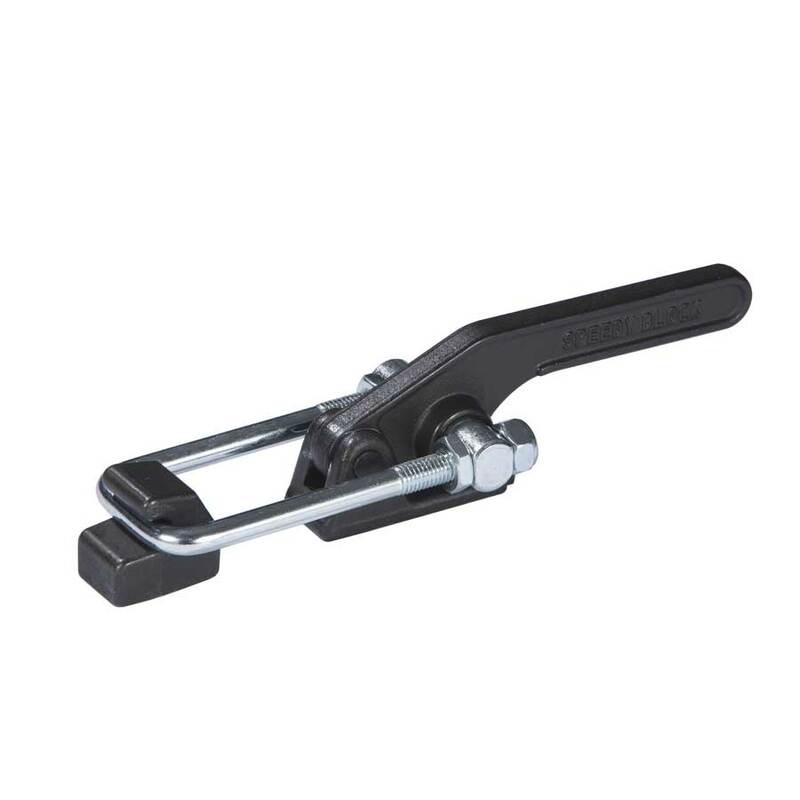 FOR T5 – T6 MODELS: • If the tool must be used on machines or with applications in the presence of strong stress or vibrations, in which an accidental and undesired opening is likely, it is necessary to ensure a secure grip by means of a latch. 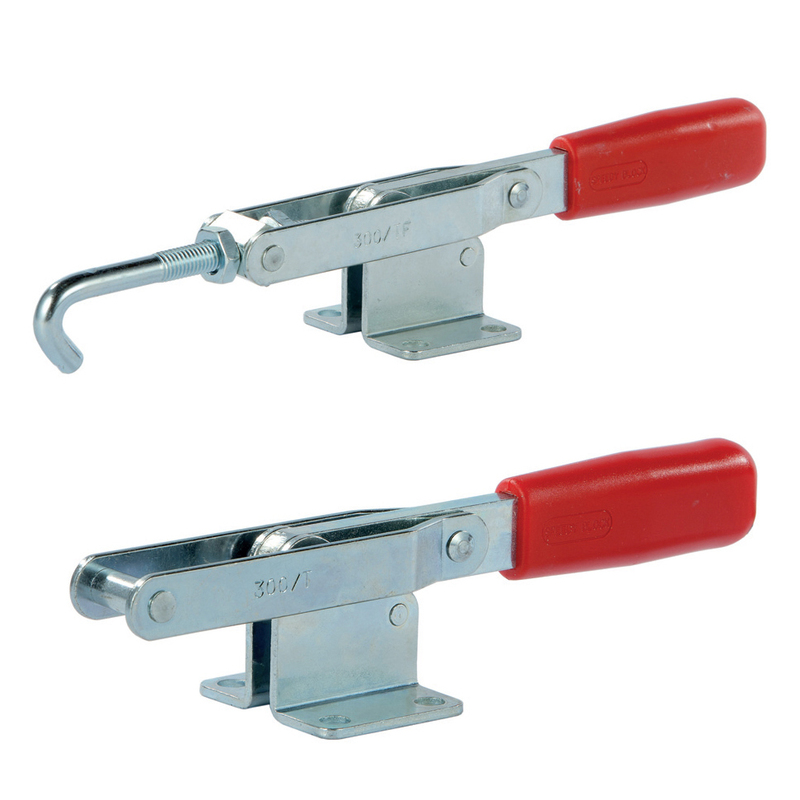 Handles: Red polyurethane resistant to oils, grease and other chemical agents. Features and applications:The tools of this series ensure a perfect closing of lids.The position of the threaded rod can be adjusted within a certain range (see dimension "D") to meet the requirements of use. A special grease is placed between two contacting surfaces during assembly. The sizes of this series are also produced in stainless steel and are shown below in red. 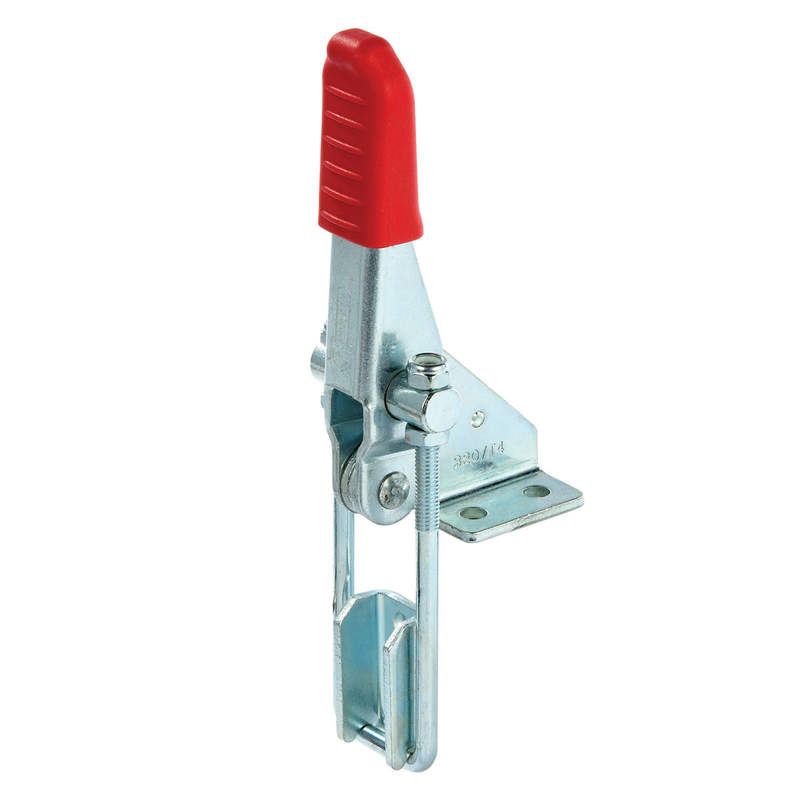 Handles:Red polyurethane resistant to oils, grease and other chemical agents. choose from three different optional rods (to be ordered separately): Eye bolt rod "TG”,T-shaped rod "TT",Hook Rod "U". Features and applications:The tools of this series ensure a perfect closing of lids. The position of the threaded rod can be adjusted within a certain range (see drawing) to meet the requirements of use. A special grease is placed between two contacting surfaces during assembly. to choose from three different optional rods (to be ordered separately):Eye bolt rod "TG", T-shaped rod "TT",Hook Rod "U". Features and applications:The tools of this series ensure a perfect closing of lids. The position of the threaded rod can be adjusted within a certain range (see drawing) to meet the requirements of use. Double rod series (Light Performance). 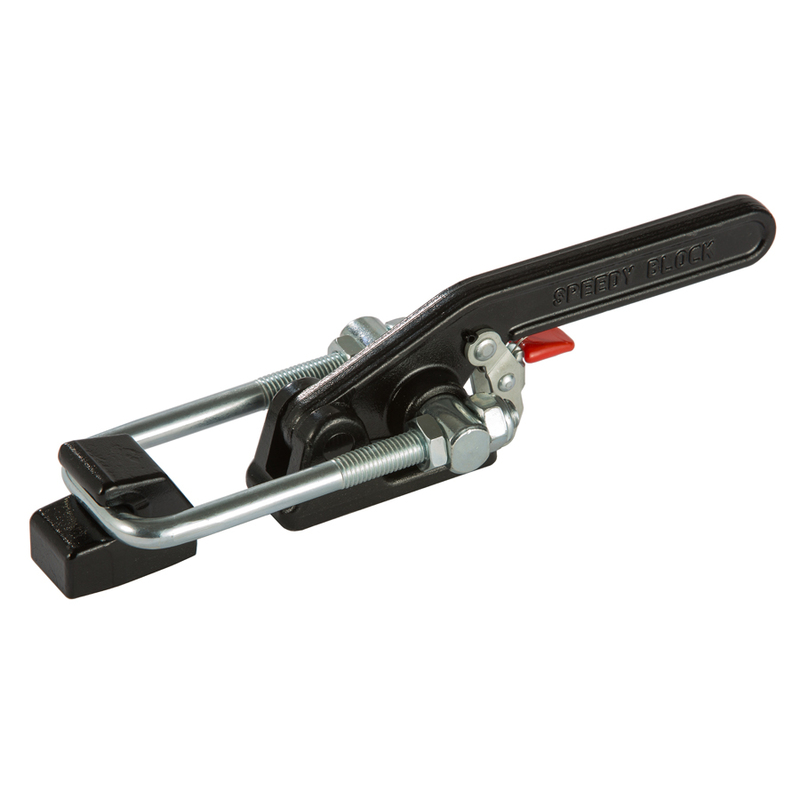 Performance:The tool comes with a double bar with hooking bracket and nuts. Features and applications:The tools of this series ensure a perfect closing of lids. The support base is perpendicular to the force line of action. In the closed position, the control lever is parallel to the support base. A special grease is placed between two contacting surfaces during assembly. Material:Hot-stamped, weldable,black varnished steel or hot-stamped AISI 304 stainless steel. Pivot:Hardened, ground and knurled steel to prevent rotation. 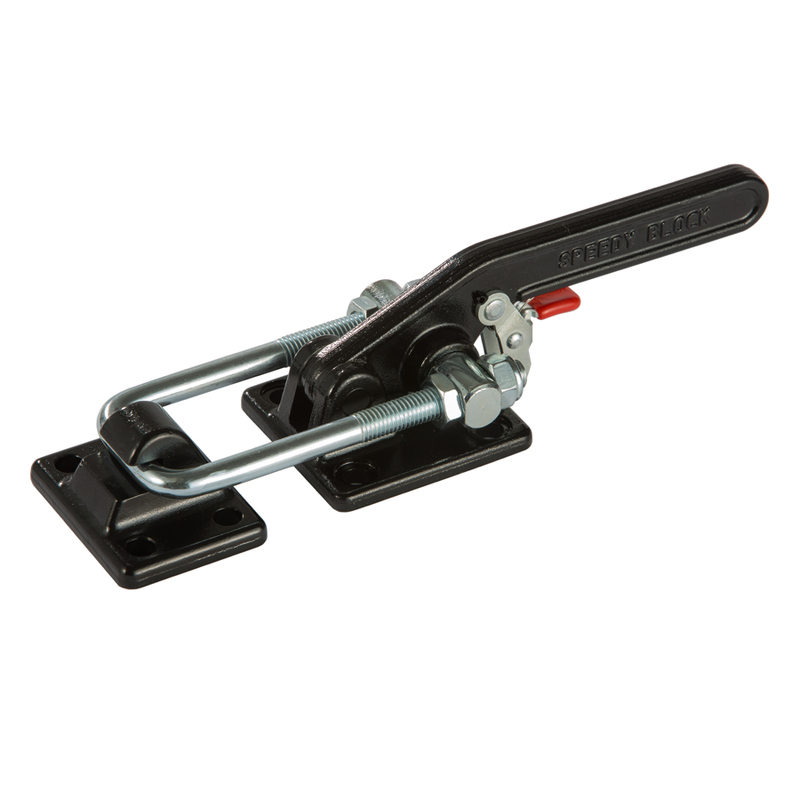 The tool comes with a double bar with hooking bracket and nuts. In addition to the standard length of the U rods, a variety of other lengths are given below. parallel to the support base. A special grease is placed between two contacting surfaces during assembly. Double rod series with safety lock (light performance). "Patent Pending"
The sizes of this series are also produced in Stainless Steel 316 and are shown below in red. In addition to the standard length of the U rods, a variety of other lengths are given below. 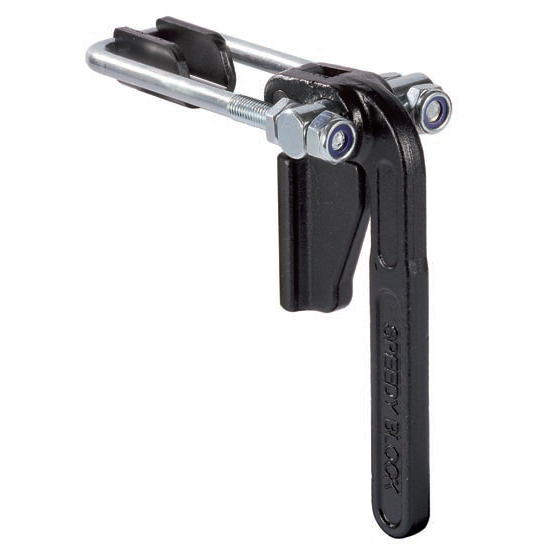 Double rod series with safety lock (Heavy performance). "Patent Pending"
Material:Hot stamped, weldable,black varnished steel or hot stamped AISI 304 stainless steel. Performance:Form T6 hot stamped,black varnished steel or hot stamped AISI 304 stainless steel. T60 or T60X=Tool without double Threaded rod, which is to be ordered separately. Features and applications:The tools of this series ensure a perfect closing of lids. 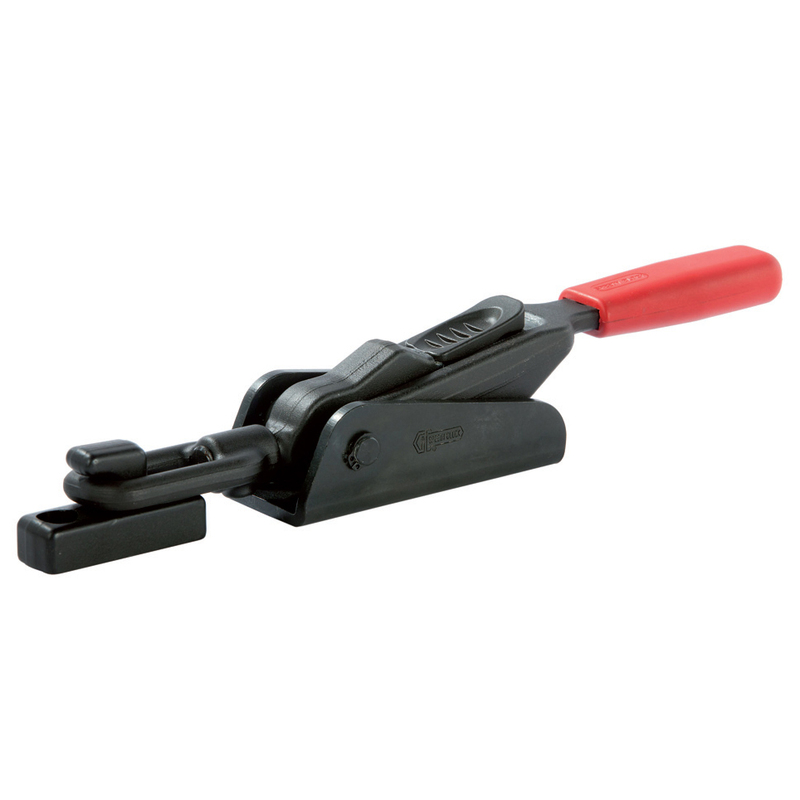 The construction features and materials chosen make these tools highly resistant. The support base is perpendicular to the force line of action. In the closed position, the control lever is parallel to the support base. A special grease is placed between two contacting surfaces during assembly. 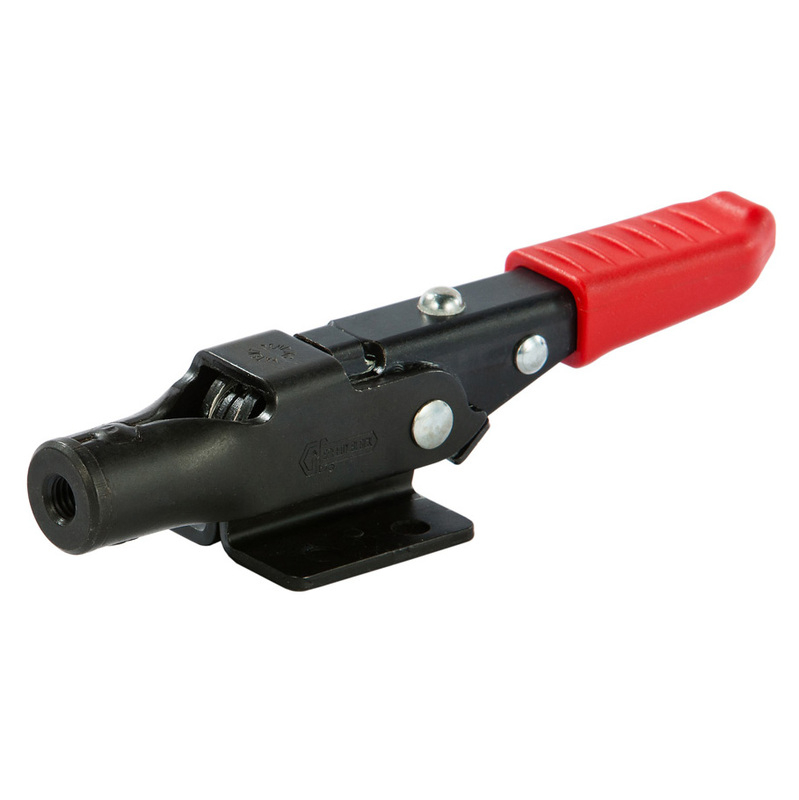 Double rod series weldable with safety lock (Heavy performance). "Patent Pending"
Performance:Form T6S hot stamped, and phosphated steel or hot stamped AISI 304 stainless steel. 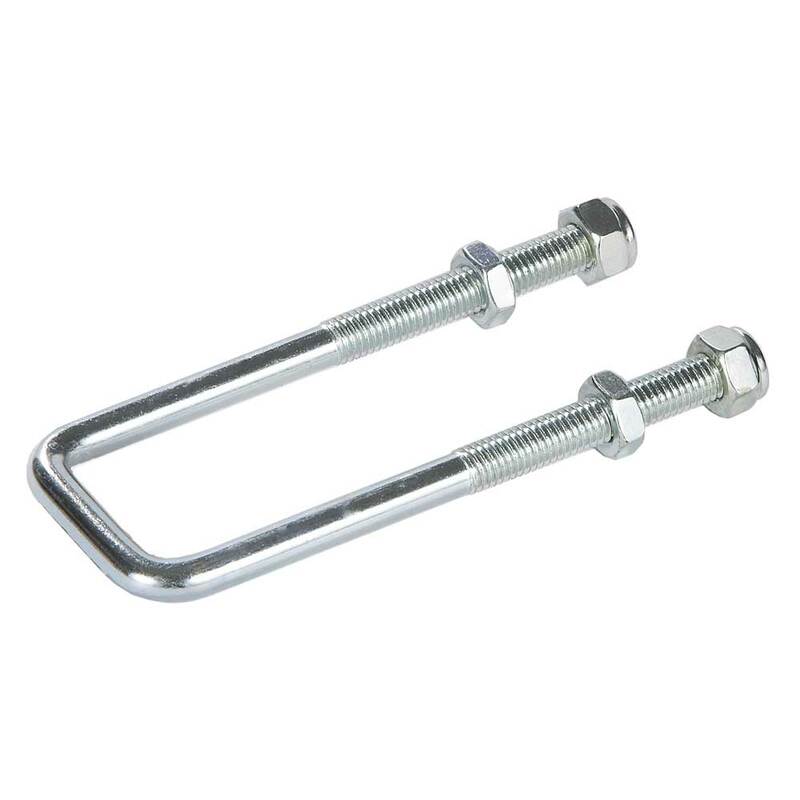 T6SO or T6S0X=Tool without double Threaded rod, which is to be ordered separately. 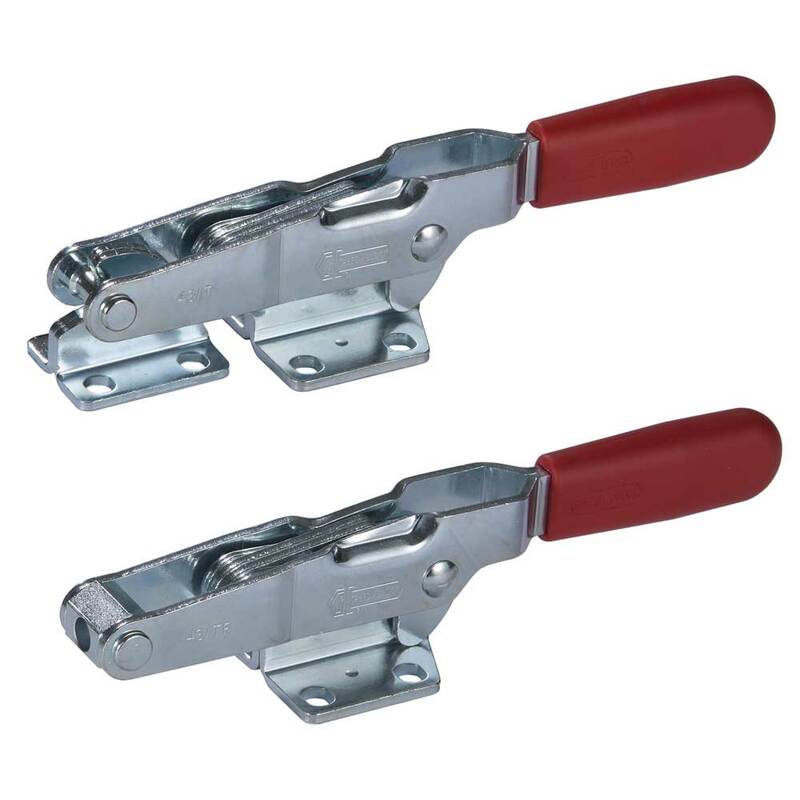 Handles:Red polyurethane resistant to oils,grease and other chemical agents. 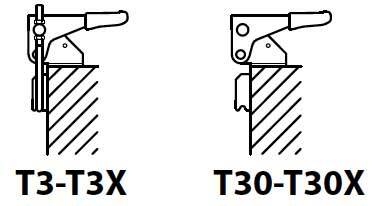 T30 or T30X=Tool without double Threaded rod, which is to be ordered separately. 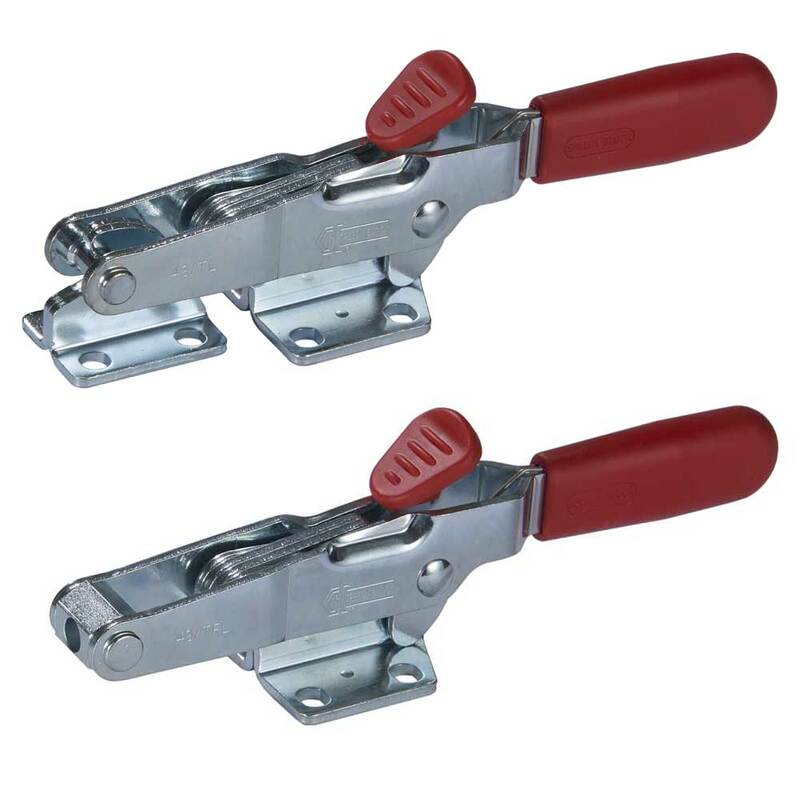 Features and applications:The tools of this series ensure a perfect closing of lids. 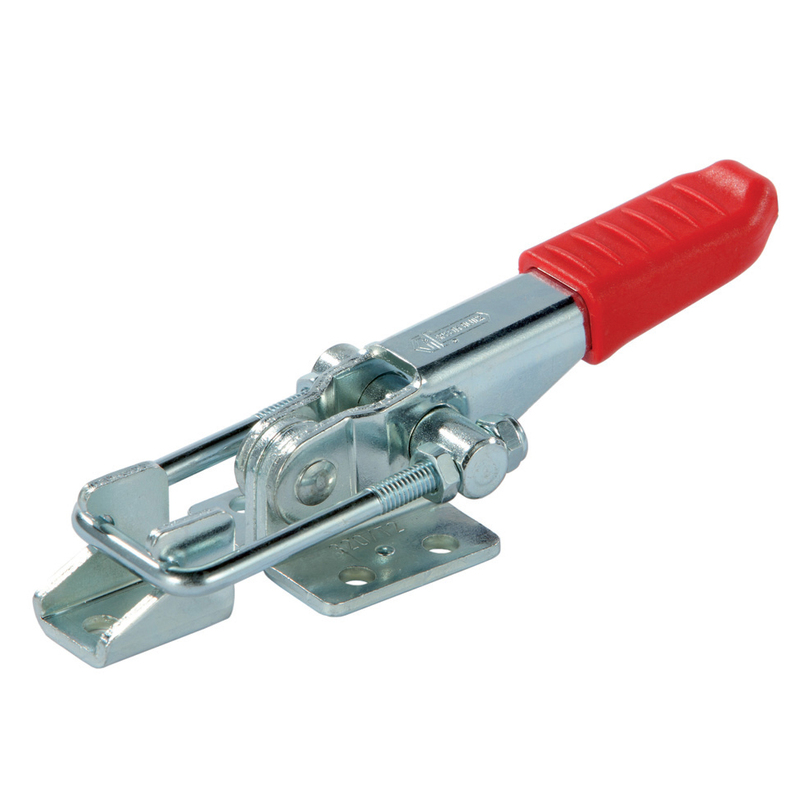 The construction features and materials chosen make these tools highly resistant. The support base is perpendicular to the force line of action. In the closed position, the control lever is parallel to the support base. Material:Hot-stamped, weldable, black varnished steel. 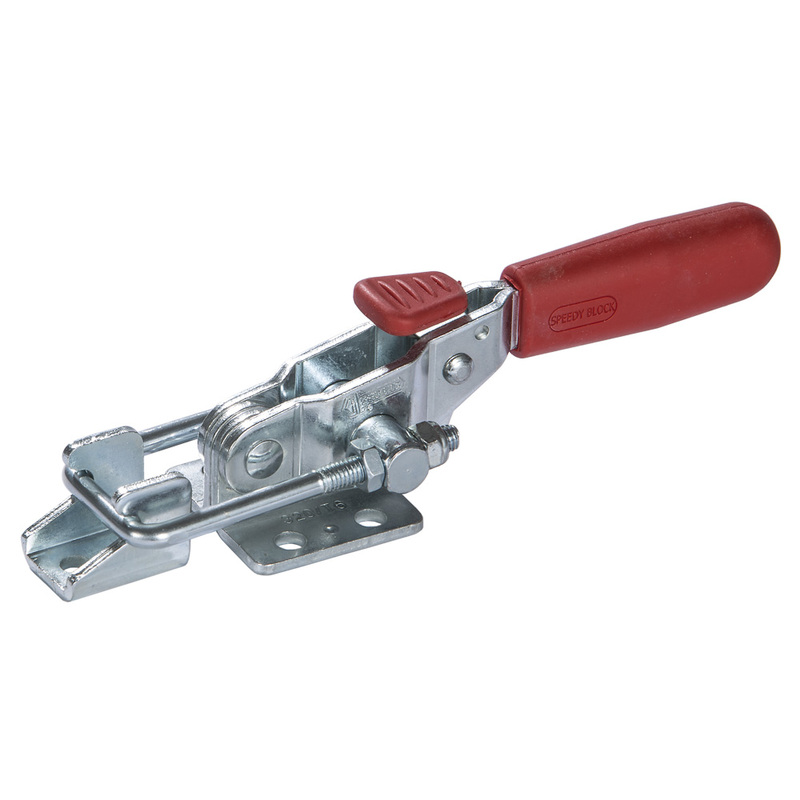 Features and applications:The tools of this series ensure a perfect closing of lids. The support base is perpendicular to the force line of action. In the closed position, the control lever is perpendicular to the support base. A special grease is placed between two contacting surfaces during assembly. Performance: The rod comes complete with 4 nuts. 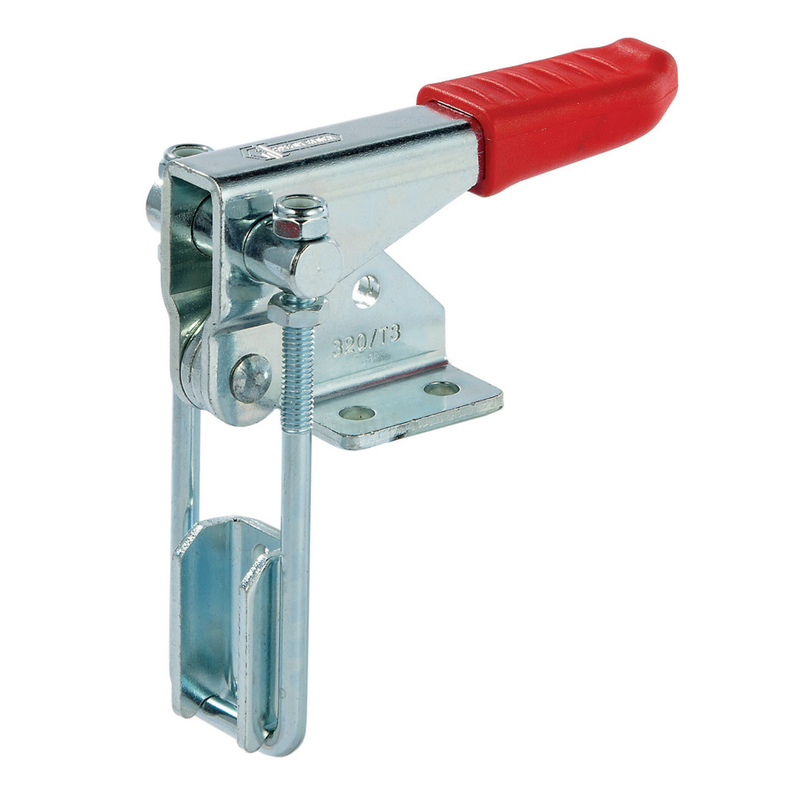 T5 Latch series with safety lock (light performance) "Patented"
Material:Sheet metal parts and riveted pivots in galvanized steel or AISI 304 stainless steel. Turned parts in galvanized steel or AISI 303 stainless steel. Features and applications:The tool can be opened with only one hand, disengage the working surface (the clamping lever opens by itself) and close it again for the next operation. Eye bolt rod "TG", T-shaped rod "TT", Hook Rod "TU". 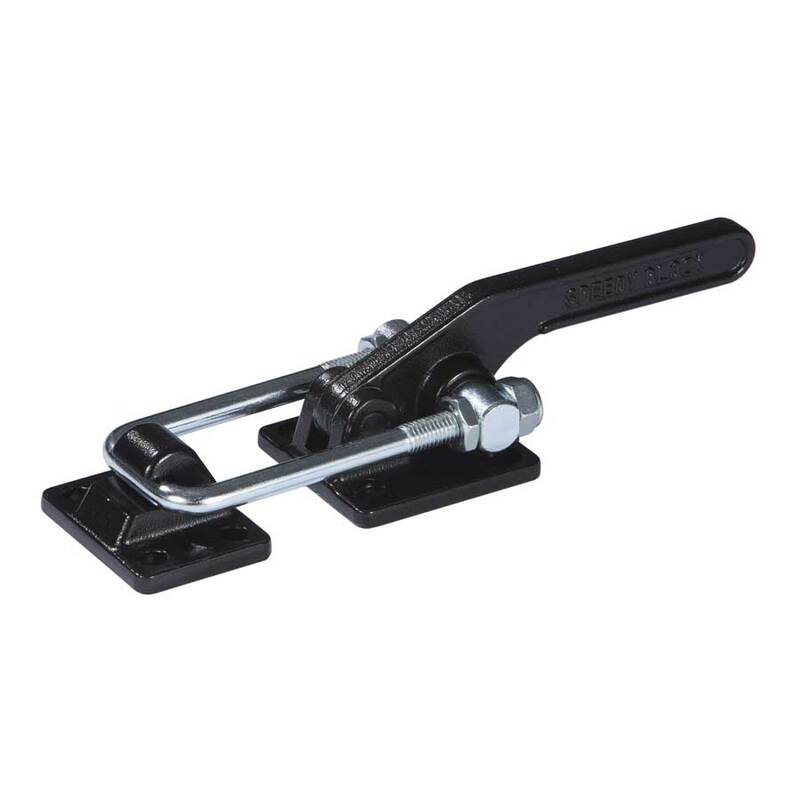 The construction features and materials chosen make these tools highly resistant. The support base is parallel to the force line of action. In the closed position, the control lever is parallel to the support base. We are a ”learning organization“, with the desire to do our job well; constantly improving our products. Sign up to stay informed on: News, Offers, Fairs and Congresses.